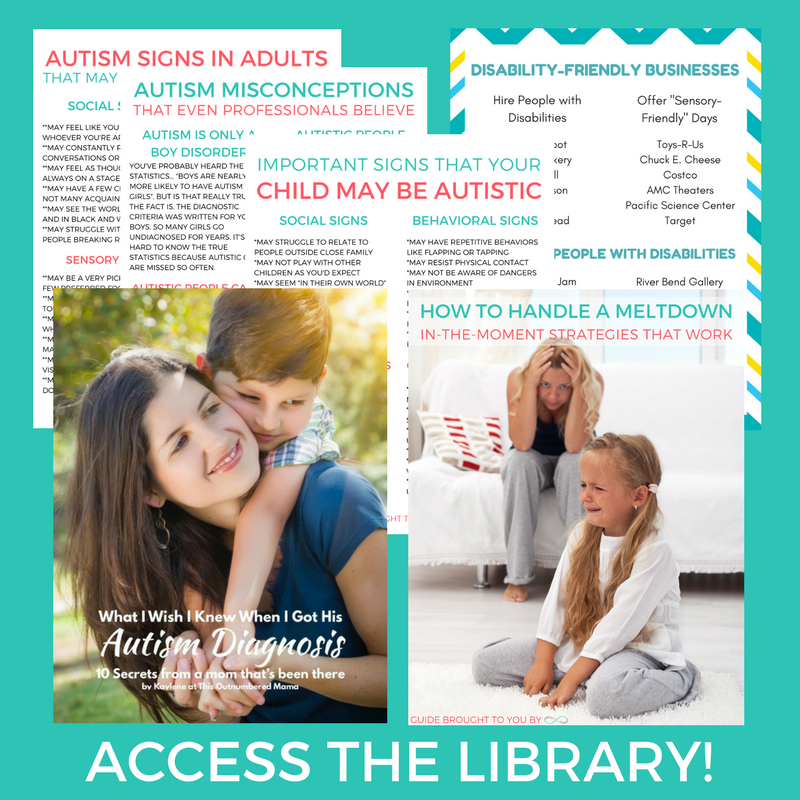 I walked out of her office with an official autism diagnosis for my son, and a handful of booklets and pamphlets to read. Not to mention the recommendation for 20-40 hours of intensive therapies. While we were expecting the diagnosis, I remember feeling really overwhelmed with the weight of it all. 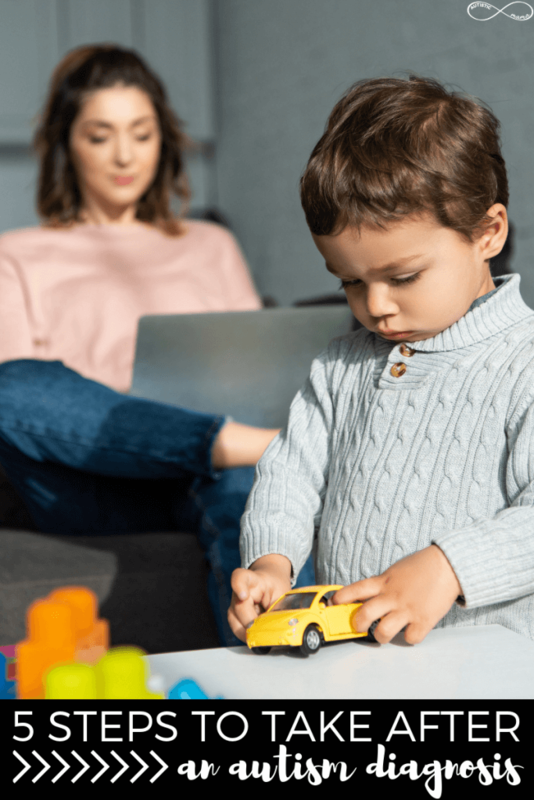 And if you are one of the parents who was blindsided by your child’s autism diagnosis, I can only imagine how overwhelmed and stressed you might be. Because if your child was just diagnosed with autism, don’t think you have to do everything all at once. 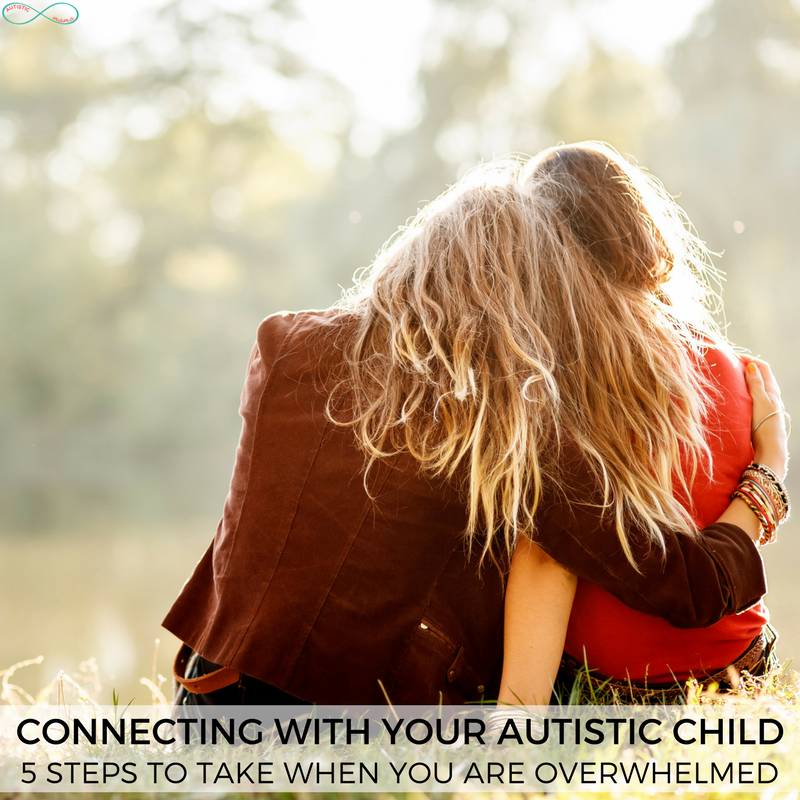 I’m going to walk you through 5 important steps to take after your child’s autism diagnosis, so you can just take it one step at a time. Now if you found this post and your child was just diagnosed, I want to say this first. I know it can be scary. I know it can be overwhelming. I know the doctor probably filled your head with a million scary things about what your child will or won’t be able to do. So let me just tell you, no one knows what your child’s future holds. Not the doctors, not the specialists, no one. Autism isn’t a big scary monster, and I promise it will be okay! 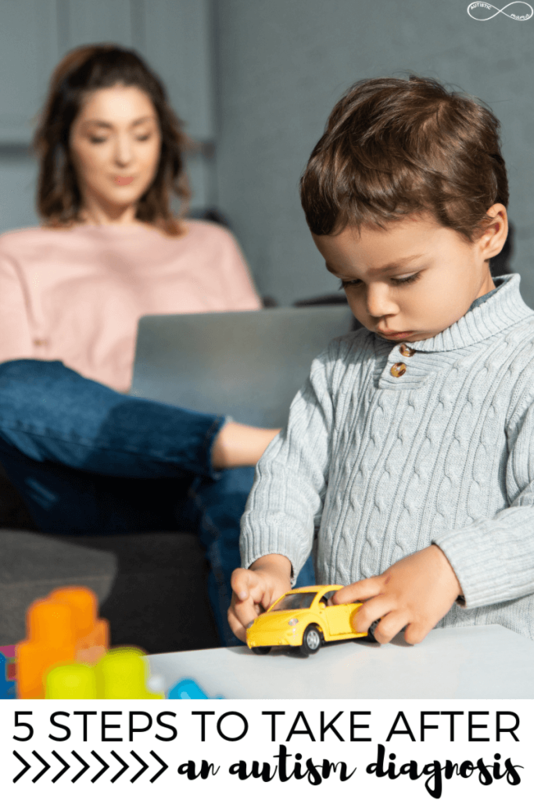 Now with that said, let’s jump into the 5 important steps to take after your child’s autism diagnosis. Whether the diagnosis was expected or not, you should take time to really process what it means. What fears do you have surrounding the diagnosis? What hopes do you have for your child? Remember that your child’s diagnosis doesn’t change who they are. They’re the same child they were before a doctor told you they are autistic. 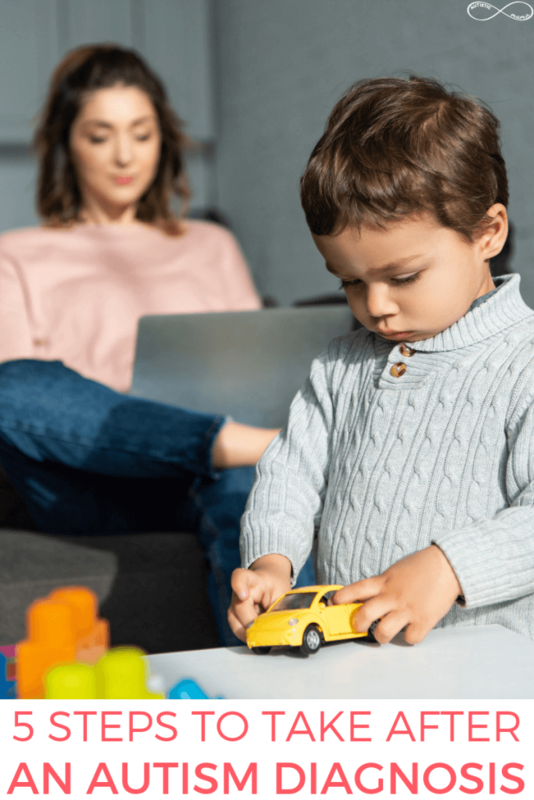 So take whatever time you need to process this news, and get to the point where you can say “my child is autistic” without a shake in your voice. And while I think it’s important to take time to process a diagnosis before moving forward, I also want to point out that I don’t think parents of autistic children need to grieve. Okay, I know this might sound kind of cheesey, but I fully believe that every parent needs a tribe. And that need only intensifies when your child gets an autism diagnosis. There are going to be hard days, and days where you feel like you’re about to absolutely lose it. Those days you need a solid tribe to fall back on. But you can’t just search “autism group” on Facebook and find a solid tribe. You need to find an autism tribe that fits your values. When I tried to join autism groups, I quickly learned that I didn’t fit in. Those parents thought their kids were broken. They were posting about “grieving”. They were asking advice on intensive behavioral therapies. And I’m not about that… At all. I couldn’t find an autism tribe that fit my values… Understanding, accepting, and embracing autism. So I made a new one. In my community, the focus is put on learning from autistic adults and creating an accepting society where autistic kids and adults are free to be themselves. If that sounds like your kind of place, join Embracing Autism here! Okay, at this point, you’ve processed your own feelings about your child’s autism diagnosis. 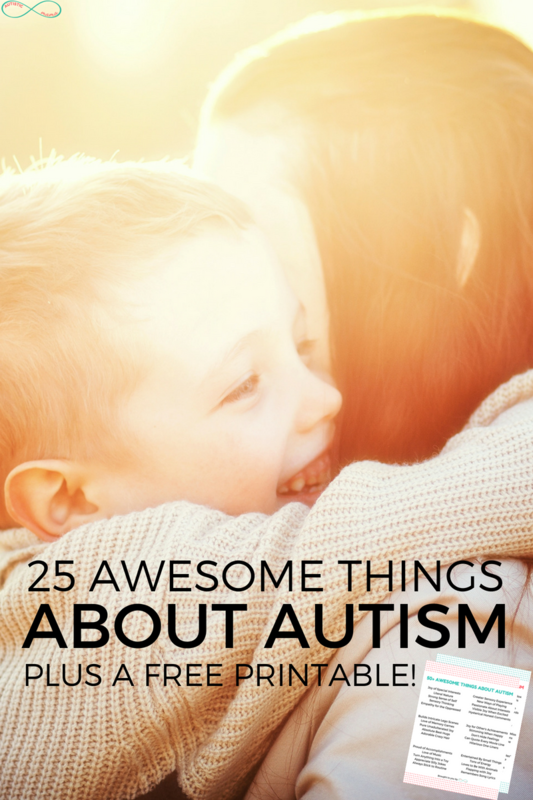 You’ve also connected with an autism tribe that fits your values (and hopefully is helping you see the positives about autism). Now, you are in a much better place to be able to talk to your child about autism. Whether your child was diagnosed at 2 or at 12, now is a perfect time to start teaching them about their autistic brain! Some parents think they should avoid talking to their kids about a diagnosis because they don’t want their kids to feel “weird” or like there’s something “wrong with them”. But here’s the thing: your child is already going to feel those things from society, whether you teach them about their neurology or not. When you proactively teach them about their autism, you get the ability to frame the way they see autism and make sure they know it’s a positive part of who they are! 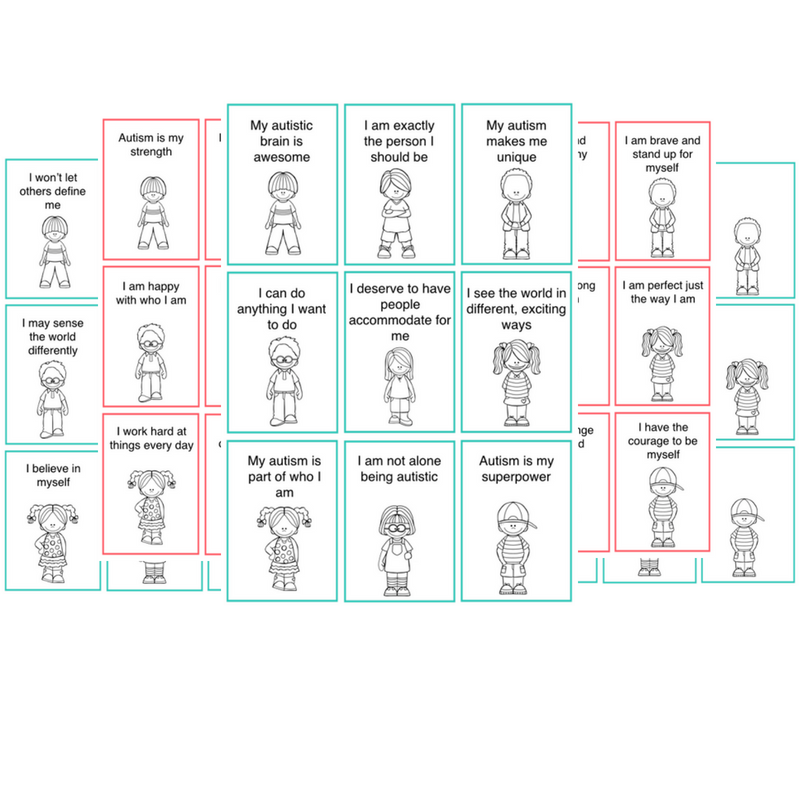 If you’re looking for a fun way to show your child the positive things about their autistic brain, check out these Autism Affirmation Cards for Kids! Okay, I included this step hesitantly because there is a lot of potential for this to go wrong. 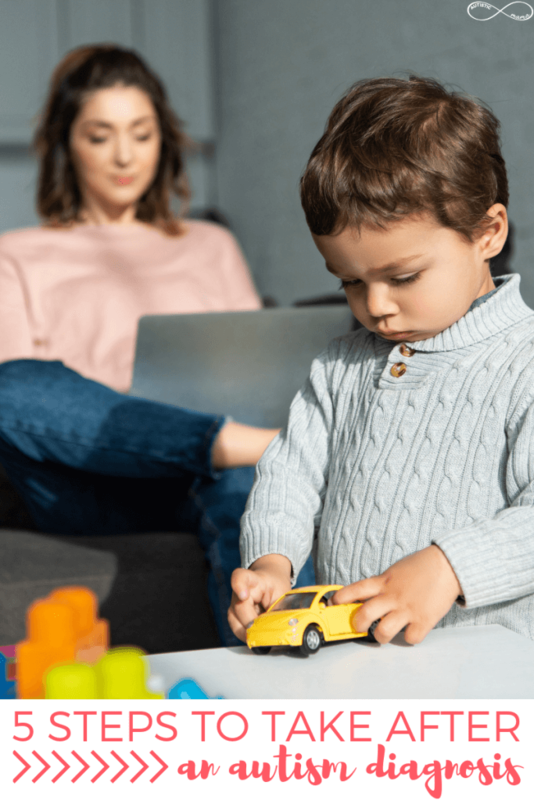 You may want to share your child’s diagnosis with certain friends and family, and I wanted to share a few thoughts about how to educate your friends and family. See, if you just call up your mom and say “Guess what? Timmy is autistic” she will have so many thoughts about what autism is or isn’t that you’ll have to deal with. This could vary from her being dismissive and saying “Timmy can’t be autistic, he can talk” or saying something insensitive and ableist like “I always knew there was something wrong with him”. Now imagine those responses times 100 and coming at you from everyone. I mean that girl you went to high school with to your Great Aunt Mildred. So I would *highly* encourage you to only share your child’s diagnosis with those who need to know, at least at first. Typically this will look like any friends or family members that are regularly around your kids or do any childcare for you, plus any friends or family members that are a safe place for you to vent or process your feelings. That one cousin who you’re pretty sure is going to rant about vaccines? Feel free to skip telling her. You officially have permission! NINJA TIP: When you’re telling your friends and family I also encourage you to share your perspective first. That way, your friends and family already know your position and are more likely to mirror those thoughts back. If you’ve made it this far, you already understand this, but I’m going to remind you anyways. Remember that this autism diagnosis is a good thing. Your child is exactly the same today as they were the day before you learned that they’re autistic. An autism diagnosis doesn’t tell you what your child will or won’t be able to do in the future, it just gives you a clearer picture of the way their brain works. You can better support your child and better advocate for them. You can help them understand how and why their brain works differently, and how to best use their autistic brain to live their best life. You are connected with a thriving community of autistic adults who are continually fighting and advocating for your child and all autistic children. An autism diagnosis is a really good thing. And I pinky promise, you and your autistic child are going to be just fine!